Distributor of artisanal, craft & premium products - with an emphasis on New England made. The Farmer's Plate is a New England producer & distributor. Our goal is to bring the finest gourmet and convenience items to our customers throughout New England. We also offer seasonal items each 4th Quarter. 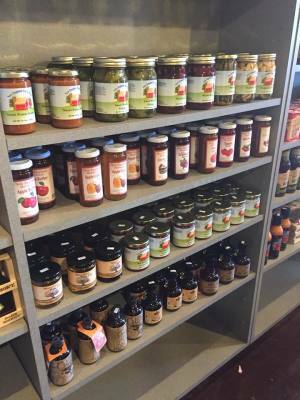 Along with a full line of locally made greeting cards and pet treats, we offer the best in locally made and nationally recognized gourmet! Our forte is New England made - we consider ourselves the premiere local food distributor, with more than half of our lineup made locally! New Products are always being added, so contact us for further information - and updated pricing.